Yesterday afternoon, we officially celebrated the arrival of spring with our first outdoor apéro. Though the day started out decidedly gray and cool, it gave way to warm temperatures and the aroma of the first neighborhood barbecues — something that always signals good weather here in the Netherlands. Instead of cooking outdoors, however, we opted for a nice bottle of wine and a platter of charcuterie, thinly sliced baguette, hummus and garlicky olives. It won’t be long before we are allowed the joy of making this a more regular occurrence. There is nothing I love more than eating in my garden with the French doors wide open, the sunshine on my face, our little dog Pastis in his wicker basket and the sound of old chansons coming from the living room. 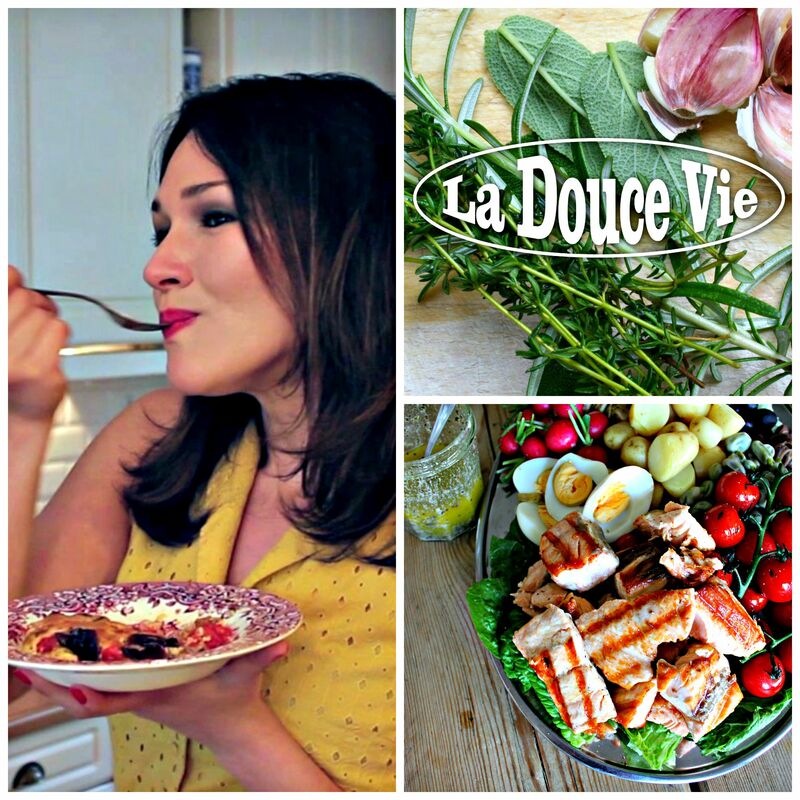 But what excites me most about the warmer months ahead is the abundance of fresh, new produce that will soon start to appear at our local market — not to mention the produce we always enjoy when we vacation in France. From bright pink stalks of spring rhubarb, to delicate, aromatic summer raspberries, I just can’t wait for all that color to fill my plate and lift my spirits! I am, however, very impatient and must admit to occasionally buying fruits that are out of season. I blame the sunshine! So when I spotted raspberries at my organic shop, I couldn’t resist them. 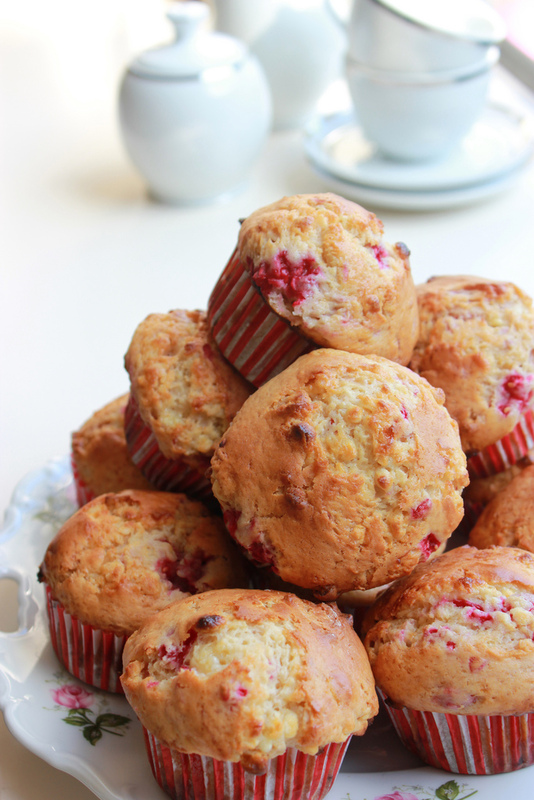 And that’s a good thing because those raspberries were the inspiration for these gorgeous muffins. The combination of the slightly tart fruit and sweet, creamy morsels of white chocolate is truly sublime. If you want, you can substitute the raspberries for blueberries and add a little dash of lemon zest for extra ‘zing’. Bonus: the muffins do not have any butter or oil. They do call for full-fat yogurt and two nice, organic eggs. Preheat oven to 200°C. Prepare a 12-hole muffin tin. Combine flour, baking powder and chocolate morsels in a bowl. In a measuring jug, whisk the yogurt, eggs, vanilla extract and sugar. Add the wet ingredients to the dry and gently combine everything with a wooden spoon. Gently fold in the raspberries. Don’t worry if they fall apart a bit. Fill the muffin tin with the batter and bake for 15-20 minutes. Test after 15 minutes with a wooden skewer. Allow to cool on a rack before serving.